Mr. Jardine acts as the firm’s Managing Shareholder and serves on its Executive Committee. He has been instrumental in the firm’s management, practice group formation, global strategy, and direction for over 15 years. 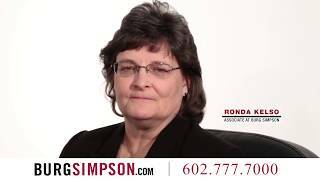 Established in 1976, Burg Simpson now has over 60 lawyers and six offices nationally. The firm’s focus is on trial work and plaintiff litigation, with nine main practice areas: Accidents and Personal Injury, Medical Malpractice, Mass Torts, Business Litigation, Construction Defects, Defective Products, Employment Litigation and Labor Law, Workers’ Compensation, and Securities/Bond Fraud. Prior to receiving his JD/MBA in 1987, Mr. Jardine worked several years for a Fortune 500 company. 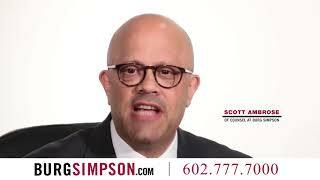 He received his JD/MBA from Brigham Young University and joined Burg Simpson two years later in 1989. He litigates extensively in a wide range of personal injury actions, including automobile and trucking accidents, unsafe products, and gas explosion cases. Mr. Jardine has been a firm leader in its expanding Mass Torts practice group, which has successfully represented thousands of clients in unsafe drugs since 1998, including the Fen-Phen®/Redux® diet pill class action and multi-district litigation, Propulsid®, PPA, Zyprexa®, Ortho Evra®, nephrogenic systemic fibrosis, Actos®, Depuy, and Yaz®. Over the past 15 years, Burg Simpson has become one of the nation’s strongest mass tort firms, representing thousands of men, women, and children in all states. Mr. Jardine is also one of the nation’s most experienced attorneys in gas-related explosions. Over the past 20 years, he has tried and handled more than 30 gas explosion cases around the country – explosions at gas plants, commercial districts, and residential areas. Since 2009, Mr. Jardine has been selected by U.S. News & World Report as one of the Best Lawyers in America® for Mass Tort Litigation. “Mass tort” litigation is a practice where a single product injures hundreds or thousands of people, and there are special procedures in place to help victims receive justice. Best Lawyers® publishes a book each year listing those individuals who are recognized as professionals who continue to distinguish themselves among their peers. The book is considered to be, professionally, the definitive guide to legal excellence in the United States. Mr. Jardine was chosen for this distinguished group because he has displayed an exemplary commitment to his profession, his community, and his clients. Due to his many career accomplishments, and the accomplishments of Burg Simpson nationally, the National Trial Lawyers recognized Mr. Jardine as one of the country’s 100 Most Influential Lawyers, a recognition of the commitment he has demonstrated for more than 20 years to protect the rights of men, women, and children throughout the nation. This National Trial Lawyers recognition is by special invitation only and was awarded because of Mr. Jardine’s superior qualifications of leadership, outstanding reputation, influence, stature, and profile as a civil trial lawyer. 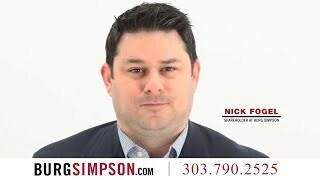 The National Trial Lawyers has also named him to the 100 Top Trial Lawyers in Colorado. Mr. Jardine has been selected to Colorado Super Lawyers® every year since 2010, an honor reserved for less than five percent of all attorneys. Super Lawyers® is a rating service of outstanding lawyers from more than 70 practice areas who have attained a high degree of peer recognition and professional achievement. The selection process is multi-phased and includes independent research, peer nominations and peer evaluations, and is a sophisticated, comprehensive, and complex selection process. "How to Diversify Your Practice for Financial Gain and Survival," presentation, National Trial Lawyers Summit, January, 2015.